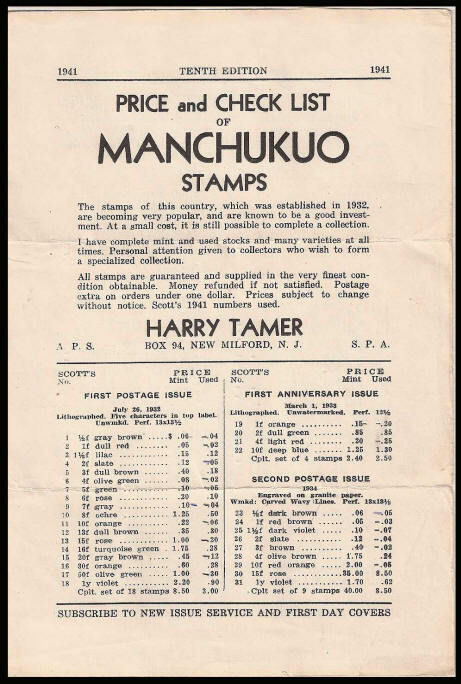 Harry Tamer was a well respected New York stamp dealer and collector. 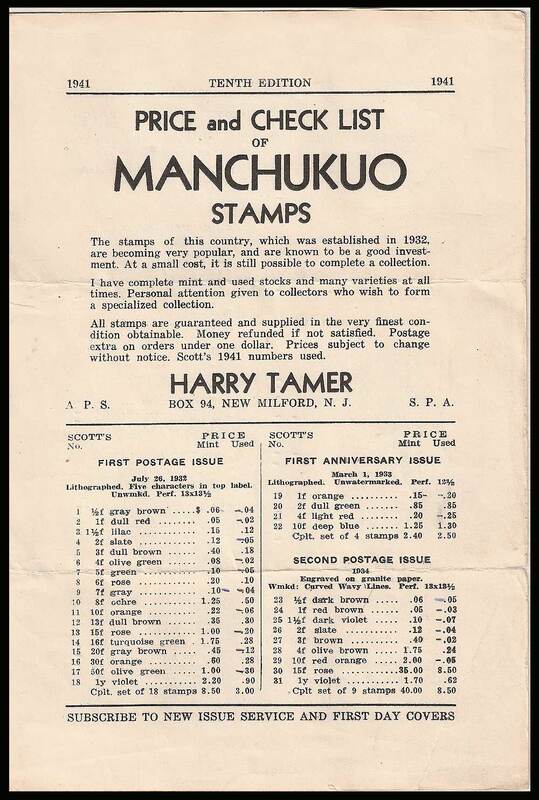 He distributed his own price and checklist of stamps from Manchukuo. The 10th and final edition of which was dated 1941. References to him crop up regularly in connection with articles about Manchukuo in The China Clipper and other philatelic periodicals. This registered item was sent to Harry Tamer's business PO box in New Jersey. Posted from Harbin on 29th February 1940 the parcel carried stamps worth 96f. This is equal 4 x the normal letter rate of 20f (per 20g) indicating a weight of 61 to 80g plus a 16f registration fee. The item travelled via Mukden and Japan instead of by the normal Siberia route as there is no arrival postmark the transit time is unknown. 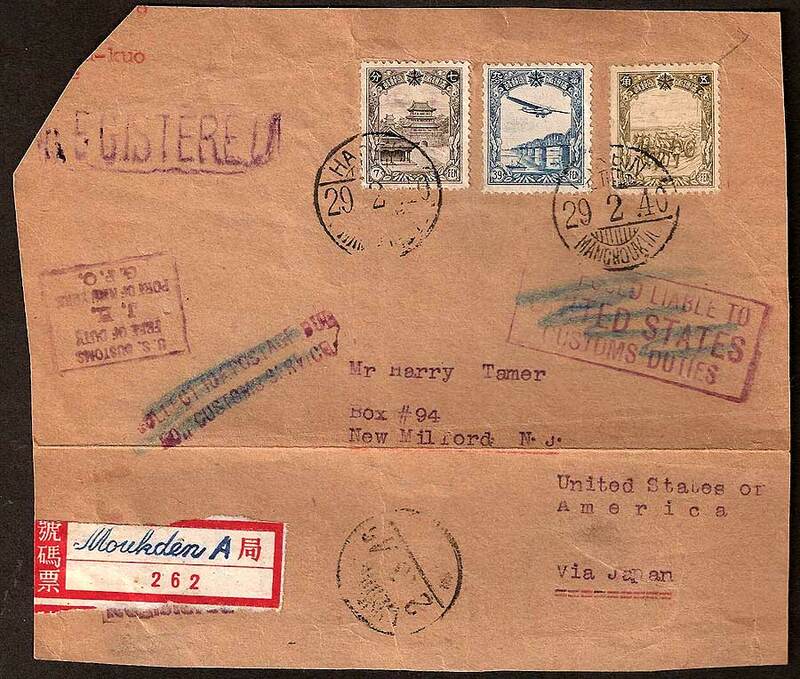 The Violet stamps show that US customs seem to have been undecided about whether or not to change customs duties. By comparison with another cover in the collection we know that this item was posted by John V Sweet, a part time stamp dealer or agent in Harbin.